Show up to your black tie event wearing this marvelous and charismatic Flair dress. 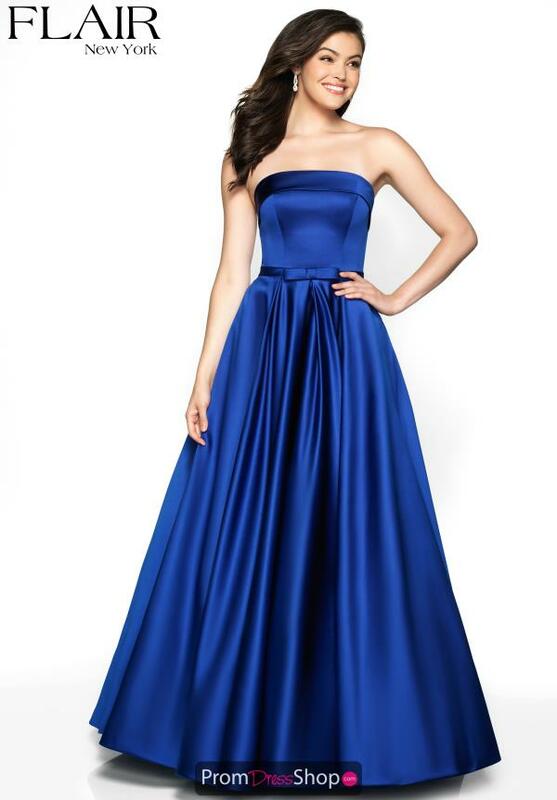 Style 19024 showcases a strapless neckline featuring a thick belt at the waistline that defines it neatly while complimented with a statement bow. 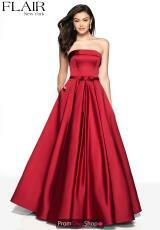 The a-line satin skirt is designed with small pleats that structure the dress to flare out whimsically.